Well, if each person thought that they started their day with 2000 calories to spend (eat), but in actually had only 1500 or in some cases 3200 calories to consume do you see where this could pose an issue. If Client A knows she can only have 1500 calories per day, chances are she’s not going to spend them on empty calories and will opt not to have that iced mocha frappe latte thingy with the cream on top and a side of pancakes which would clock in over 1100 calories. 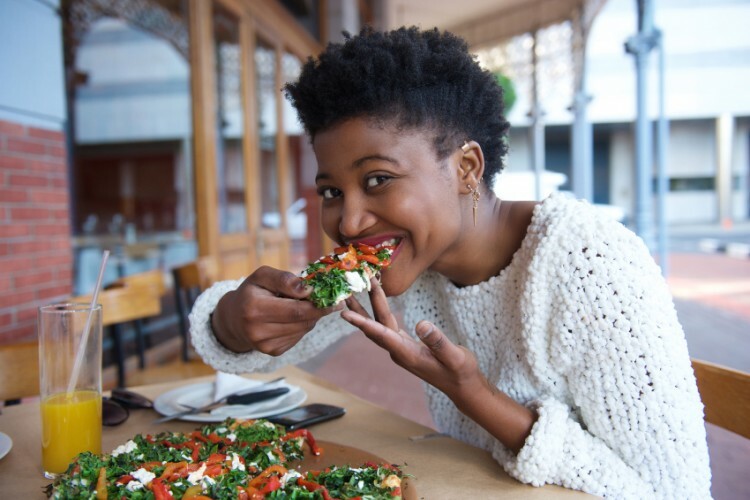 Before she’s had lunch for the day, she’s consumed more than 75% of her recommended daily intake leaving her only 300 calories for lunch, snacks and dinner. Poor thing has to eat air for the remainder of the day. Now, for Client B who has a few more calories to spend that frappe latte thingy with the cream on top is no and pancakes isn’t as bad – he still has more than half of his daily calories to consume and if he makes better choices could potentially stay on target. Learning your daily calorie intake needs helps you to make better choices and lead to the results you’re striving for. How do you find out what calorie level you should be consuming to meet your health goals? Use the Increase the Peach app which includes a FREE electronic food diary. Track your daily calories for 14 days. Weigh yourself on day one, day seven and day fourteen. Try to weigh yourself at the same time of day with light clothing. Add your calorie intake for 14 days and divide to find your average for two weeks. If your weight has remained the same you know what your calorie intake is to maintain your weight. To lose weight, you’ll need to adjust by removing 300 – 500 calories per day. Want to talk to someone about your health goals and learn what your calorie needs are? Feel free to leave a comment or message me directly here.